"You may feel that your life is in ruins. You may have sinned. You may be afraid, angry, grieving, or tortured by doubt. 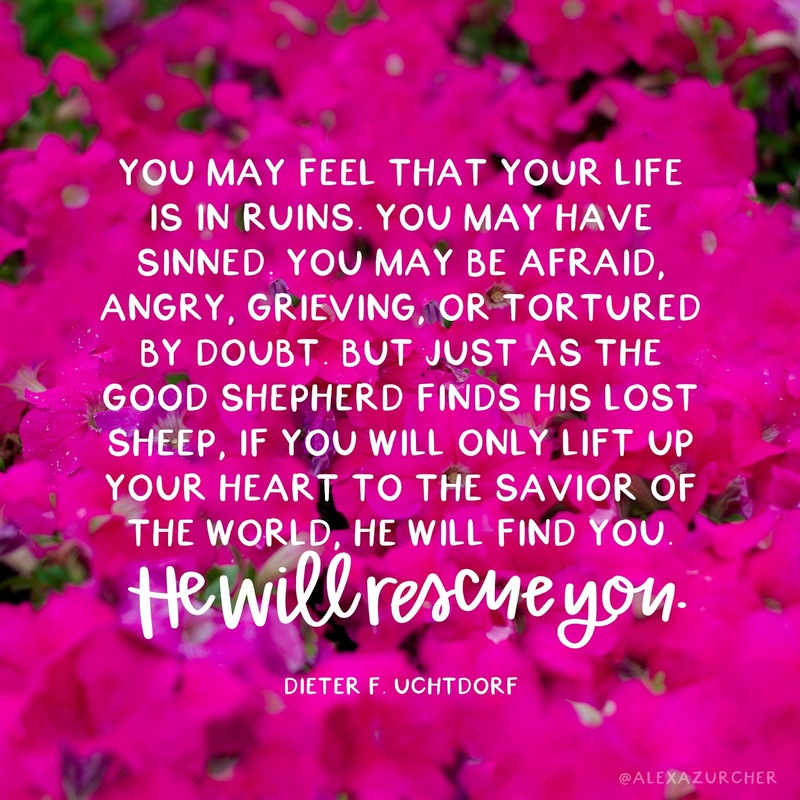 But just as the Good Shepherd finds His lost sheep, if you will only lift up your heart to the Savior of the world, He will find you. He will carry you home."